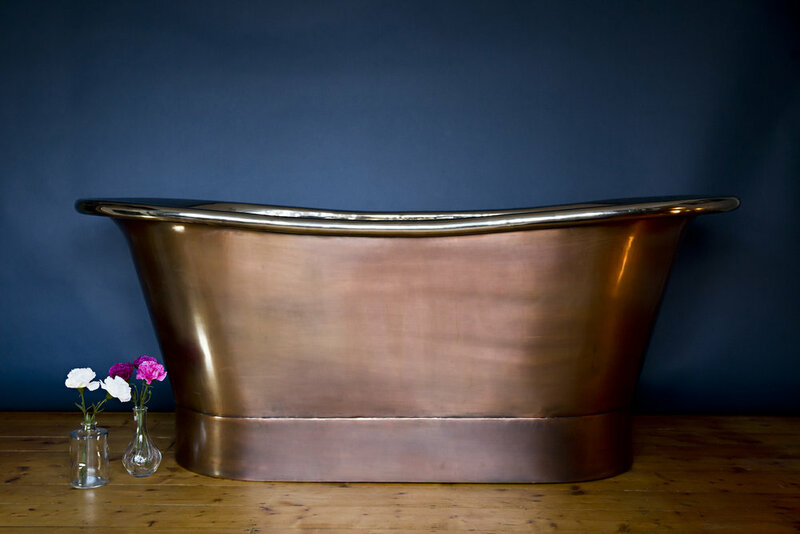 Classy, deep, sublime, the Thames Copper Bateau is the ultimate in supreme bathing and is the perfect centerpiece for any bathroom. From every angle you’re looking at a beautifully made and finished bath that provides a relaxing and luxurious experience at bathtime. 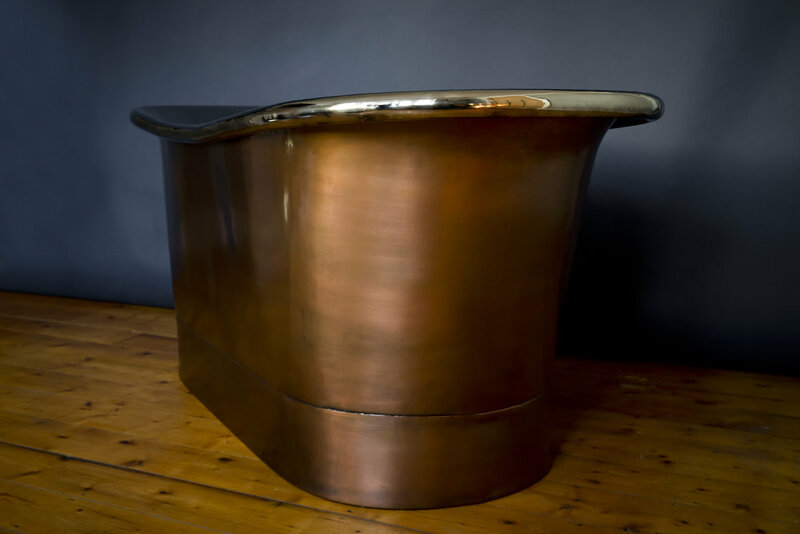 The contrast with the interior and exterior finishes gives your bath a really unique feel, as with all our baths, it’s made with high gauge copper and hand beaten, polished then sealed. It gives each bath a unique finish that won’t be identical to any other. Our standard size is (l)1700mm x (w) 705mm x (h) 710. 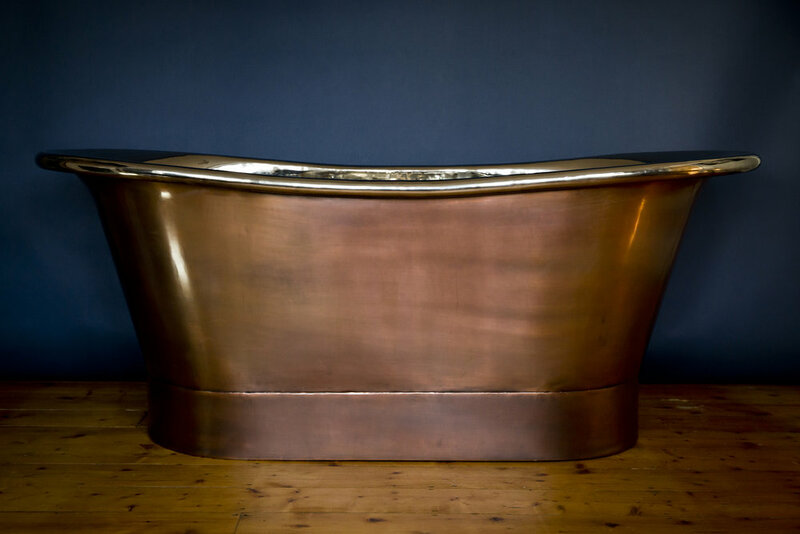 However, if you may need a bath in a different size, so we’ll create one specifically to your requirements, taking around 8 weeks to manufacture and deliver. Just ask us about this bespoke service and we’ll be happy to help.